Beck Hansen (born Bek David Campbell, July 8, 1970) is an American musician, singer-songwriter and multi-instrumentalist, known by the stage name Beck. With a pop art collage of musical styles, oblique and ironic lyrics, and postmodern arrangements incorporating samples, drum machines, live instrumentation and sound effects, Beck has been hailed by critics throughout his musical career as being amongst the most creative and idiosyncratic musicians of 1990s and 2000s alternative rock. 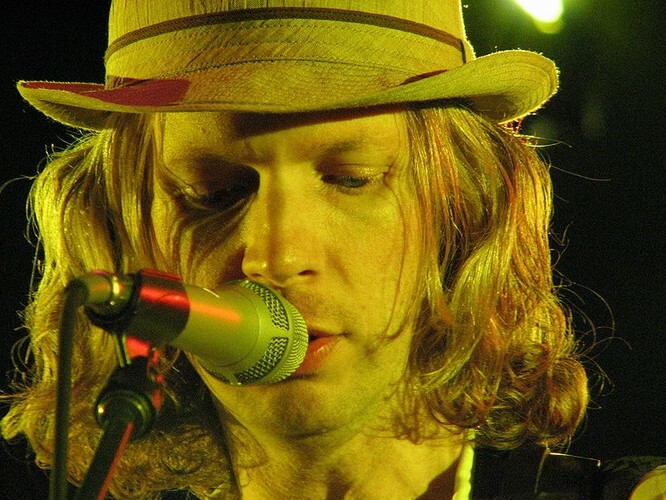 Two of Beck's most popular and acclaimed recordings are Odelay (1996) and Sea Change (2002). Odelay was awarded Album of the Year by the American magazine Rolling Stone and by UK publications NME and Mojo. Odelay also received a Grammy nomination for Album of the Year. Both Odelay and Sea Change appeared on Rolling Stone's list of the 500 Greatest Albums of All Time.